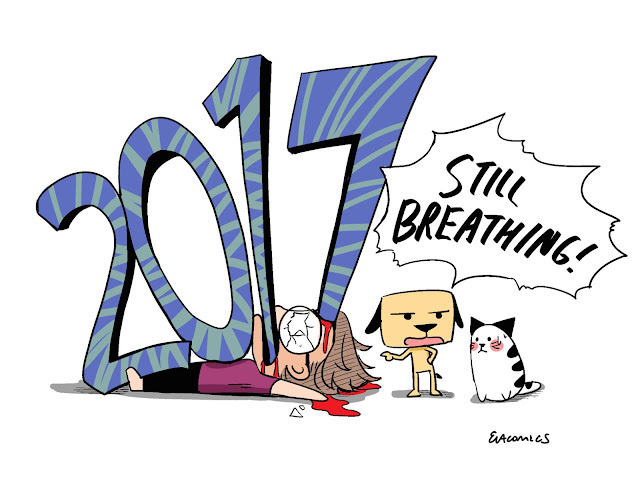 There is only one word to describe my 2017: TIRED! There were some unexpected overseas trips (both personal and business) and several invitations to give talks at various festivals because of my new book. I also setup booths at two major conventions (STGCC and AFA) and two small fairs in schools. Because of that, Monday comic strips had been affected and progress of my 4th book slowed down. The fortunate thing is I didn't have to depend on book sales to make ends meet. For some strange good luck I had been having consistent commissioned work to draw comics for organizations and companies. I also conducted a short comic drawing course at a primary school. Support from my Patreon had also been rather consistent. Book sales was an added bonus and I cleared the 5-digit loan I took to self publish back in 2014. Moving ahead in 2018... I am working on my 4th book with a US publisher about traveling to Tokyo. If I can finish by end of April (*gulp), it will be released in Fall 2019. So you would have to bear with me the B&W Monday comic strips till I finish that book. 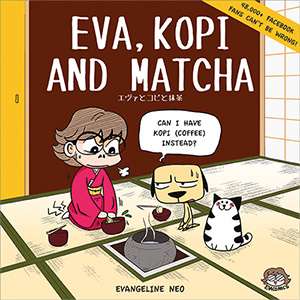 Luckily the royalties will be in USD and would be sold at bookstores worldwide, including Japan and US (YEAH!). Finally I won't need to depend on local bookstores and market. You can catch the work in progress sometimes on my Instagram stories. I'm not sure what I'll do after I finish 4th book, but definitely not the same as what I have done before. I'm not going to buy back my books to sell in bulk anymore. Although I'm not in a festive mood to say Happy New Year, but I'll say "THANK GOODNESS EVERYBODY SURVIVED!" May 2018 be better for all of us!